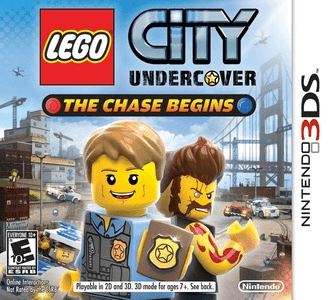 LEGO City Undercover: The Chase Begins is an "open world" game developed by TT Fusion. While the game is technically open world, it is split into various city districts and needs to load each new district when traveling from one part of the city to another. The game is based on the LEGO City brand and was published by Nintendo. It serves as a prequel to Lego City Undercover. LEGO City Undercover: The Chase Begins has some issues in Citra. Graphically, some textures fail to load, and it may suffer from minor audio issues at times, but this does not hinder gameplay in any way. The game consistently crashes when exiting the detective mode, postcard collection sidequest, and sometimes when changing districts on the map.